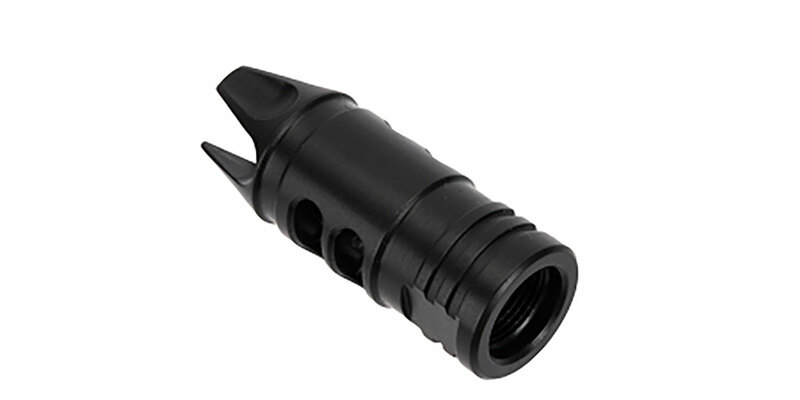 Mission First Tactical develops select rife/carbine accessories specifically for military and law enforcement markets and civilian shooters also benefit from these leading edge, affordable products. Design of these accessories is based on the need for enhanced accuracy and functionality, improving the effectiveness of weapon systems. 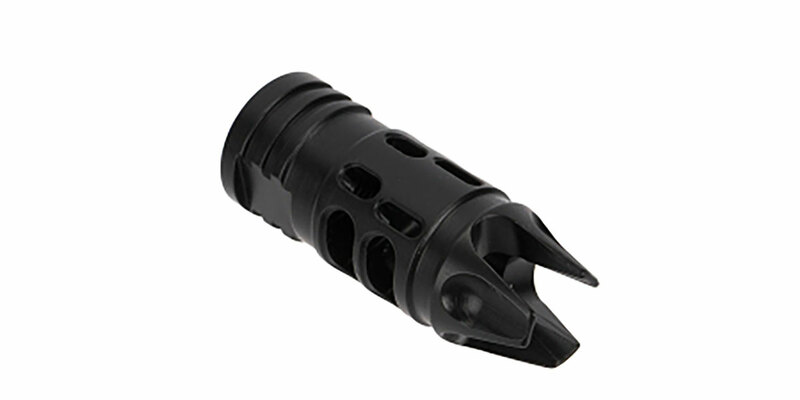 The Mission First Tactical 3-Prong Ported Muzzle Brake is engineered to direct combustion gases first through four top and two side ports for reduced recoil. In addition to the recoil mitigation performed by the ports, the MFT brake takes things a step further by redirecting gas using the front three prongs sending the remaining gas and concussion forward, away from the shooter.